This is a course in astro navigation and world-wide meteorology. It assumes a knowledge of all subjects covered in the Day Skipper and Yachtmaster Courses. The earth, the celestial sphere and PZX triangles. Sun planet, moon and star sights. Weekly Evening Classes commence in October for 24 weeks. Course Fee £280.00 + RYA Pack. Five day intensive courses take place throughout the year. Course fee £445.00 + RYA Pack. Weekend courses are available throughout the year. Each course will operate all day Saturday and Sunday extending over three weekends. Practical assessment for issue of a CoC is done by oral exam, after a qualifying passage has been made. Click here for requirements of the passage and oral exam. 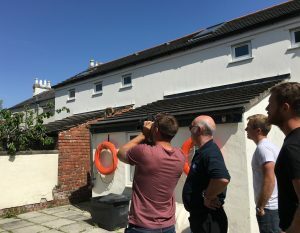 Hoylake Sailing School can arrange for the oral exam to be conducted on the premises, or at a location suitable to the candidate and examiner.